The industry-wide loss of more than $250M in air freight and estimated well over $1B in ocean has been driving leadership conversations across airlines, ocean carriers and forwarders alike. While the revenue discussions have captured the attention of publications including Air Cargo World and Journal of Commerce, I believe there’s also a much bigger picture to consider. If we look at the business objectively, the ultimate impacts of revenue loss may extend far beyond the top and bottom lines. I find that changes on the P&L often create shifts in operations, which then affect the employees and inevitably the customers. Let’s explore those impacts below. Inaccurate invoicing can have many negative effects to a company’s profitability. Beyond the revenue that is missing from the top line, being unable to see or measure this critical missing element also means we’ll be unable to include this in forecasts. Forecasts tend to become overly optimistic since plans don’t include overcharges which haven’t yet received corrections. Misunderstood profitability data can also cause unforeseeable missteps into undetectable weak markets, and we may also be encouraged to raise prices to protect margins in eight seasons. The disappeared profit and resulting higher pricing then cause us to be less competitive, further stunting our market growth. The biggest impact to the CFO may be extended DSO (days sales outstanding) and CCC (cash conversion cycles). When invoice inaccuracy is reduced, collections often occur faster on average which further reduces the cost of carrying debt. This one can be much more difficult to see from the outside. What I’ve learned in conversation is that many operations managers are tasked with balancing a moving target of metrics, such as cost per kilo vs. cost per man hour or moves per hour – and that balancing these metrics isn’t always easy. I’m even told by top 10 global forwarder veterans that when the P&L shifts and forecasting changes, it drives daily changes to staffing in terminals, service centers, gateways, and office support in our local communities. These folks are on the other side of the fence, where they are at risk towards suffering additional overtime rather than absorbing reduced work hours. As inaccurate invoicing permeates the industry across all modes, our back office feels the sting of the customer complaints. Once the corrections are lodged, much follow up work is generated. Now, a second run of invoices and documentation must be produced, while days and weeks are lost in mailing and transit. This extends the DSO and CCC mentioned under Finance. To top it off, this double-invoicing work then delays invoicing to other clients. Sales are often the front line of the company to forge and maintain strategic relationships. Their accounts are hard-won, but at the same time remain delicate. When a minor detail goes askew, often the Sales Exec must do some ‘tap dancing’ to make it right. After all, the saying goes that “We’re only as good as our last shipment” …and our last shipment may have been their invoice. The Sales Exec’s incentive pay is directly impacted by any under-calculated billings. Including the friction and stress of absorbing the customer’s frustrations, this has been previously reported as a contributing factor to sales team turnover. But if we had a process to accurately capture this revenue, the same would be true in reverse: Sales would now be more secure through accurate compensation, and more competitive pricing to go to market. Let’s think about this for a second. The ability to offer more competitive pricing while also being able to firmly commit a reduction in overcharges creates a real competitive advantage. This can help a traditional carrier or forwarder to stand up firmly against the modern tech-based companies like Flexport, who are currently capable of providing hard guarantees on zero invoice discrepancies thanks to investor support. Once the invoice errors and resulting disputes are alleviated, the Sales Exec can quantifythe time and cost savings and present to the Client as confirmed value added through soft costs reduced. When we’re able to show a reduction in work hours for the customer’s specialists, supervisors and managers, we would now have the evidence needed to make the case that higher rates are warranted on improved service. Offering more accurate invoicing than your competitors then becomes a differentiator, driving both new business growth and deeper account penetration. Good for Sales, good for Everyone. The client is the final mile, and they are impacted by all that we’ve discussed above. After receiving higher than competitive prices, they must scour their invoices for corrections. When overcharges are found on their books, they file more claims – and then they gain first-hand experience of the delays this causes in operations, accounting, and billing. In some cases, customers receive invoices after their due date! This tension contributes to friction in the Sales relationship, and the cycle of adding pressure to carriers and forwarders to lower their prices as compensation for lesser service begins all over again. 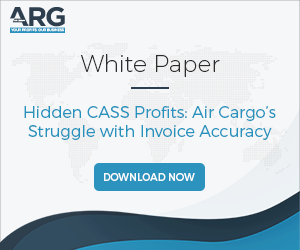 To get even deeper, here’s a real-world example: One Sales Director with a top 10 Forwarder found a year-long 35% overcharge issue on a $12M air freight account. Because corporate pricing could not accurately forecast margins, they were constantly adding pressure to raise prices – and prices were already $0.70 per kilo more than the next 5 competitors. This caused a diversion of shipments to more cost-effective forwarders who also provided more accurate pricing and billing. Because the shipper was obligated to operate tactically, each $100k shipment brought a new question as to who would carry it, at what price, and at what service. Disrupting the deliveries in this way damaged their Distributor relationships, which then caused the client to lose out on their market. All told, the Forwarders 90% wallet share soon turned into only 10%. The instability in carrier practices caused the High Tech/Retail client to miss their Holiday deliveries, which opened the window for a hostile takeover within 6 months. Potentially, accurate billing could have saved an entire brand. Because customer experience has become the primary focus of our industry (outside of mergers for ocean liners), many of the world’s largest carriers and forwarders have implemented plans for improvement. These plans may include invoice review task forces, although ultimately no office has the time to manually review every invoice indefinitely. The next step is usually to look towards IT, but as I’ve shared in my recent article, the software is only a tool. It does not stop revenue loss because the revenue loss occurs before the data is in the system. This is why I say that Carriers and Forwarders will need to examine their process and approach, to discover how they can apply the most effective controls to identify the systemic issues that technology and office staff alone cannot uncover. Inside my “Cargo Revenue Protection” LinkedIn group, VPs of Sales, VPs of Operations, CFOs, Revenue Managers and others are exchanging ideas on how to fill revenue leakages such as invoicing issues that lead to under-billings.